10,000 Women is a global initiative supported by The Goldman Sachs Foundation that provides women entrepreneurs around the world with practical business education, business advising, and networking. Through the program, participants will gain practical skills in topics such as planning, negotiation, marketing, and employee management that can immediately be put into action, as well as assistance in accessing capital. 73% of graduates who apply for a loan obtain approvals. 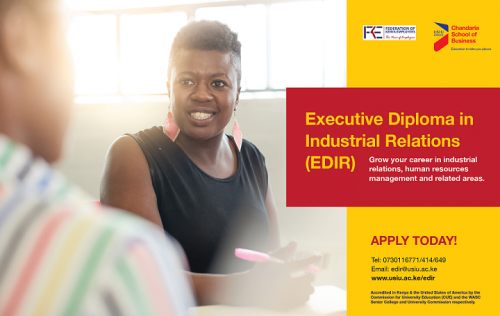 Interested candidates should complete an application, which is an initial assessment designed to understand candidates, their businesses, and interest in the program. This information will be kept confidential. Applications can be obtained electronically HERE or you could also send an email request to 10000women@usiu.ac.ke. Completed applications should be submitted electronically to 10000women@usiu.ac.ke. Candidates will be notified if they have been shortlisted to attend an interview. The program is delivered at United States International University-Africa in Nairobi. Selected participants must commit to attending all classes and completing a business growth plan. Participants will be expected to complete approximately eight hours of activities a week outside of class that are focused on applying learnings in their business and completing a business growth plan. Explore questions about business growth and review business history and aspirations. Identify personal leadership style and consider how that style impacts the work of employees and overall growth potential. Understand how financial statements are created. Introduces business development tools to further analyze the current state of a business as a foundation for future growth, including the organizational structure, existing resources, risk assessment, customers, and the competition. Focus on the ability to be creative and innovative in the identification of new opportunities for business growth. Work on the customer value proposition and customer acquisition process. Identification of business culture and vision. Work on financial statements, including how they relate to each other, and how they help set goals, benchmark progress, and grow the bottom line. Introduction to basic financial ratios to monitor business and growth. Move from basic understanding of market to the implications for marketing and selling, messaging and customer relations. Explore the fundamentals of sales and marketing as related to new business opportunities. Assessment of opportunities through basic forecasting and opportunity analysis including aspects of cash flow, ROI and breakeven. Introduce the fundamentals of negotiations and provide an opportunity to practice. Advance the use of forecasting spreadsheets. Provide an overview of the different types of financing available, how to assess opportunities and prepare for accessing capital. Prepare business operations for growth, including technology, process and work flow, and logistics. Identify the types of human resources needed and the processes to lead the business to successful growth, including recruiting, hiring, developing, and retaining talent. Overview of product/service pricing and costing. Completion of a loan application and advance knowledge of bank lending process. Participants pitch their growth plans and financing needs. Includes exercises on networking and business advising to help build and use entrepreneurial networks. For additional information on the Goldman Sachs 10,000 Women Initiative in Kenya, please contact:10000women@usiu.ac.ke or 0730116649, 0730116164. In 2008, based on a growing body of research to support the economic opportunity of investing in women, Goldman Sachs launched 10,000 Women to provide women entrepreneurs around the world with business management education, mentoring and networking, and access to capital. To date, the initiative has reached over 10,000 women from across 56 countries and resulted in immediate and sustained business growth for graduates of the program. 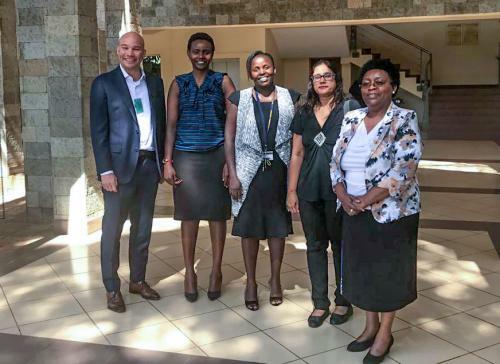 Applicants selected for the 10,000 Women program in Kenya will receive a world-class business education at the United States International University-Africa, Chandaria School of Business and connections to a professional support network. Designed in partnership with Babson College, one of the top-ranked entrepreneurship schools in the world, the 10,000 Women curriculum focuses on practical skills in topics such as negotiations, marketing, and employee management that can immediately be put into practice. Participants will receive one-on-one business advising and the opportunity to learn from other like-minded business owners. Upon successful completion of the program, graduates become part of a growing 10,000 Women alumni network and will receive ongoing access to learning and networking opportunities. The 10,000 Women program shows small business owners how to become more bankable and position themselves to access appropriate sources and levels of small business funding and capital. The 10,000 Women program is delivered over 14 days within a five month period. An additional 18-20 hours out of class engagement will be required (meetings, business advising, site visits and evaluations). The next intake will take place during the fourth quarter of 2017. Women who hold an elected or appointed government position are not eligible for this program. Additionally, women who are connected to political figures may not be eligible for this program.